Rescale can now provide software vendors with a detailed understanding of how their customers use their software and consume on-demand licenses. Rescale recently released ScaleX Partner beta to serve our most trusted software partners. Rescale has 50+ software partners with over 180 software applications that are pre-configured, certified, and natively-integrated with the ScaleX platform. As a way to deliver additional value to software partners, Rescale created ScaleX Partner to allow partners to directly manage software and understand its usage across their customer portfolio from a single interface. 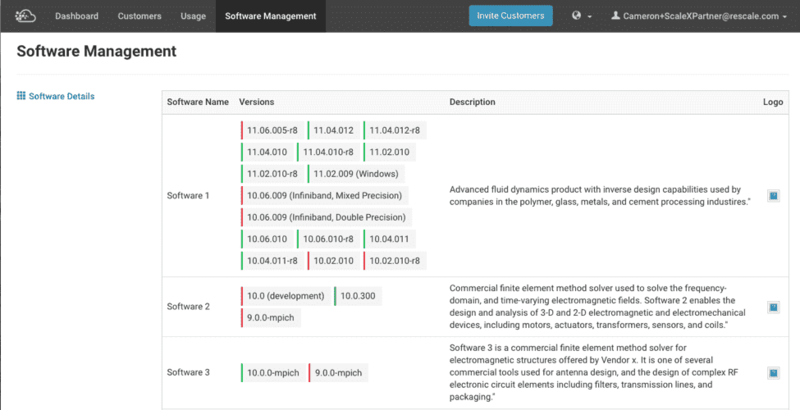 From the “Customers” tab, software vendors can now manage their software package portfolios holistically and set permissions for customers on ScaleX Enterprise. 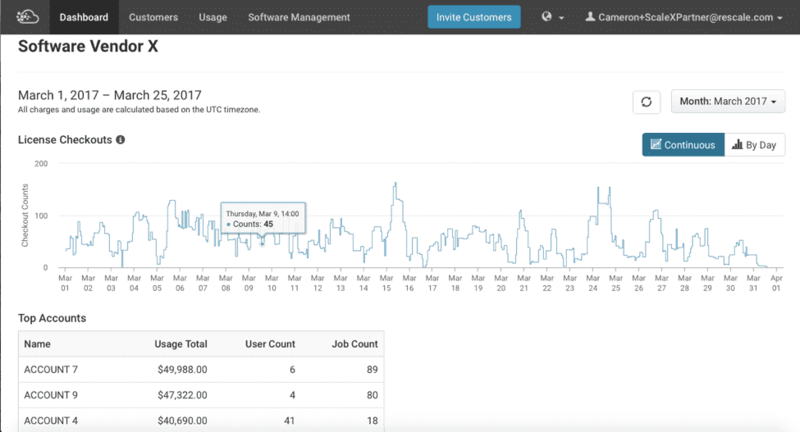 Software vendors now have the power of usage reports (under the “Usage” tab) to get a snapshot of the dollar amount of usage per month broken down by the specific software package. Public: Visible on the platform and selectable by all customers (green in the image below). Requestable: Visible on the platform but not selectable unless access is granted. Access may be requested (yellow in the image below). Private: Hidden on the platform unless access is granted (red in the image below). All of this information has provided great value to our software partners and their sales teams. Rescale can now trend software usage data over time to be able to better forecast revenue. This portal can be applied as a lead generation tool as well. To request beta access to ScaleX Partner and other new Rescale products before general release, please visit info.rescale.com/beta.